We all know someone who likes a beer, and we probably all know someone who likes to collect things! So why not combine the two and get this fun wooden bottle top collectors box! 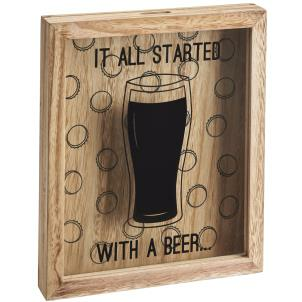 "It all started with a beer"
A great gift at any time of year!